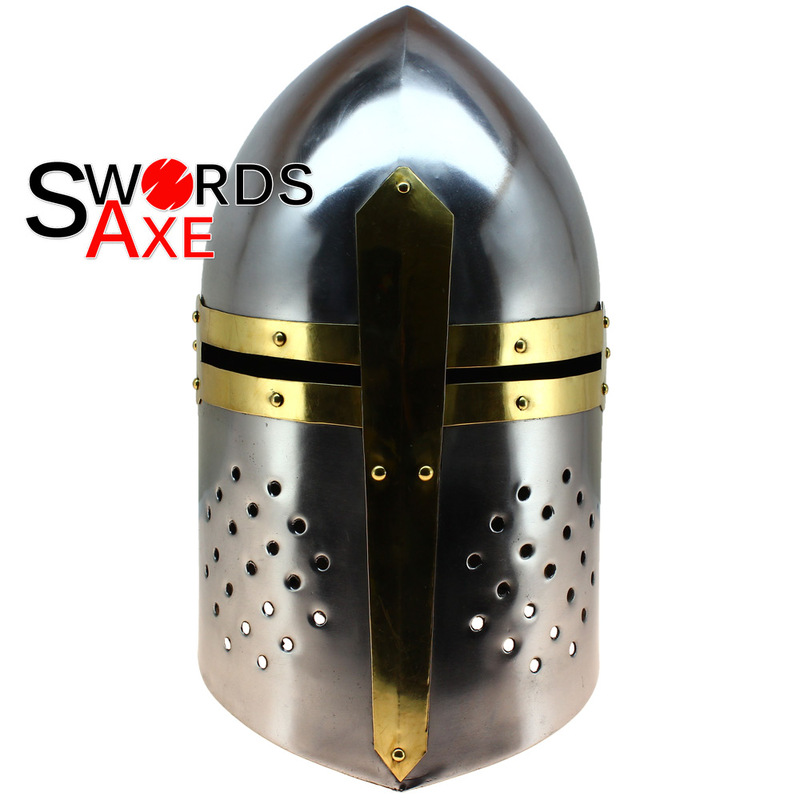 During the 14th century, warriors fought hard battles and needed heavy armor such as this armor plating carbon steel helmet. It provides 4.5 inch long eye slits and plenty of holes for breathing through. We recommend wearing a cotton padded coif underneath to help pad the armor and also it will be cozy and comfortable. Oil is applied to the surface of the metal to preserve it during storage and shipment, and we recommend to keep it oiled if being stored for a long period of time. 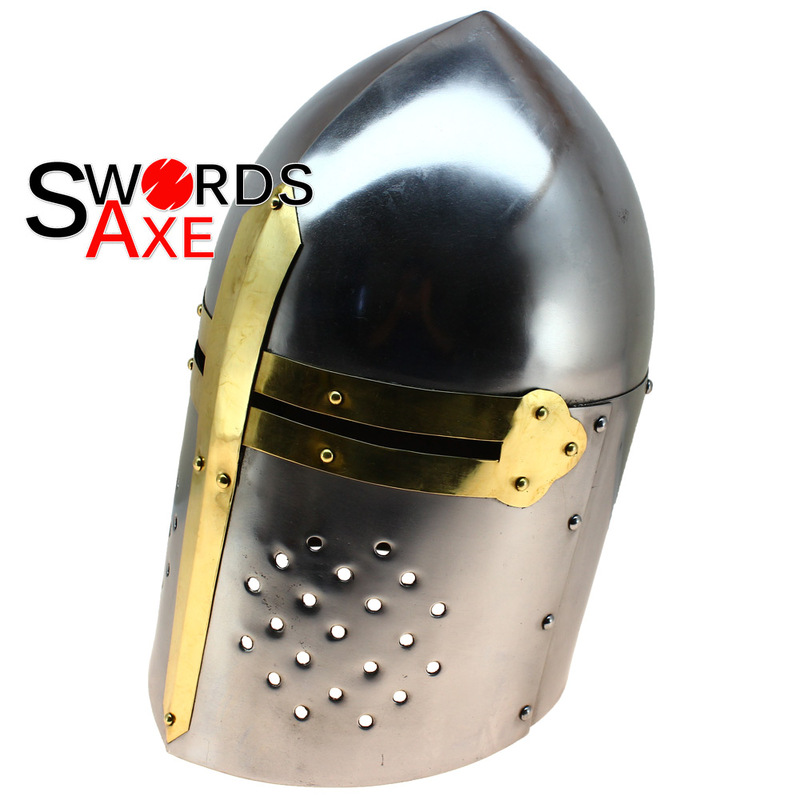 History aside for a moment, this medieval Sugar Loaf helmet is a perfect replica made to match what was actually worn in the days of European warfare. 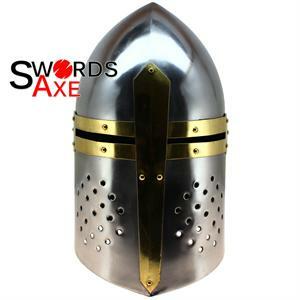 It is functional, and can take a hard blow since it is hand forged by a blacksmith and made to be nearly indestructible. 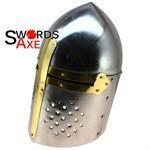 The brass reinforcing is riveted onto the steel plating of the helmet too. You may notice the conical shape at the top of the head. 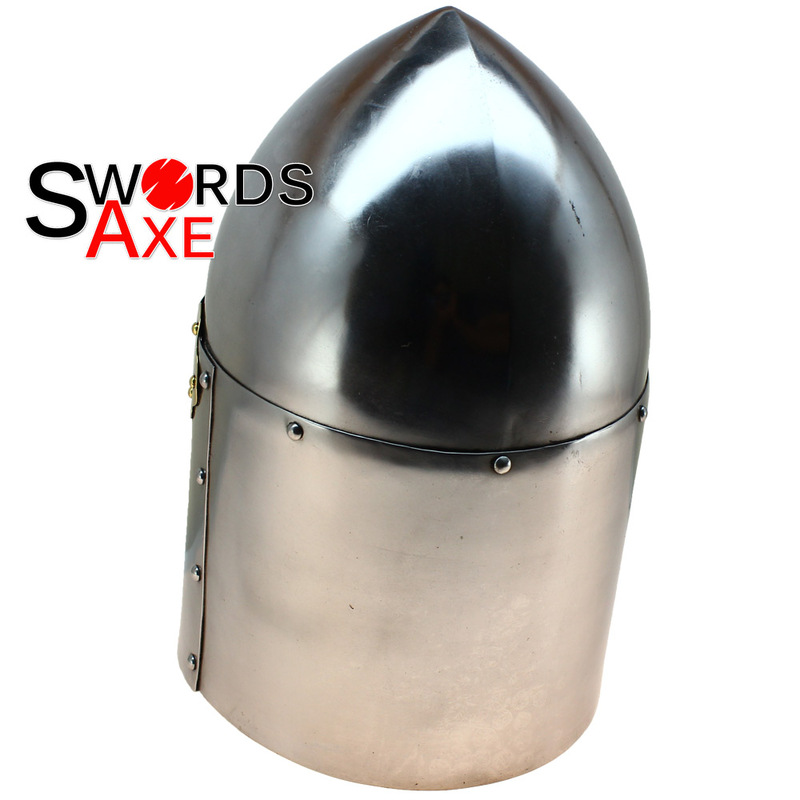 This unique shape helps divert blows from even a mace or hammer spike, protecting the knight as he fought. 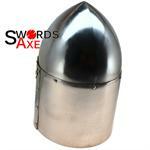 Overlapping steel riveted together always made for a sturdy head protection. Each helmet is hand forged and made one at a time by a blacksmith. You may notice slight variation in the work but each unit is the same in design and craft.